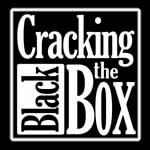 The controversial 3rd "technical trial" by British Telecom of their Webwise / Phorm deep packet inspection, snooping and cookie faking system built into their ISP infrastructure, starts tomorrow Tuesday 30th September 2008. If you are unlucky enough to have been "selected" involuntarily for this trial, then please let us know, as there are several technical tests and techniques which can be run to learn more about the Phorm scheme, to see if BT have actually improved on the highly intrusive snooping and cookie faking and advert hijacking system. They vaguely promised that they would magically develop a way of opting out of the scheme, which did not involve having to install a permanent tracking cookie in each web browser / computer whose broadband internet connection is being intercepted by this commercial trial. These commercial trials and any deployed systems should be opt in schemes, rather than, as now, forcing you to opt out repeatedly, and compromising your internet anonymity. See nodpi.org (No Deep Packet Inspection), Bad Phorm and Dephormation and The Register: BT's third Phorm trial starts tomorrow for more details. Yesterday saw some of the worries and concerns about the sneaky Deep Packet Inspection technology from the controversial online advertising snooping company Phorm, which has been been illegally tested out on unsuspecting British Telecom Retail broadband internet users, being raised at both the British Telecom plc Annual General Meeting of shareholders, and in a Parliamentary Written Answer. 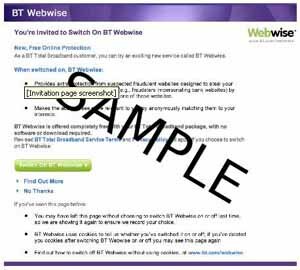 Did Gavin Patterson, as Managing Director of Consumer Division BT Retail, authorize covert 'stealth' (in BT's own words) trials of Phorm/121Media advertising systems in 2006 and 2007, technology that caused Professor Ross Anderson of Cambridge University and FIPR to observe "if you care about your privacy, do not use BT"? On to resolution 9, appointment of Ms Hewitt. Michael Rake tried to shield her with more waffle. Ms Hewitt is obviously well used to handling difficult questions... She rescued him from deep embarrassment. She didn't specify a date, but mentioned a board meeting. Amazingly, she left herself hostage to fortune by saying she would opt in to Phorm because she trusted their assurances. What is the former Labour Minister Patricia Hewitt MP doing on the BT board of directors ? Can it be a coincidence that she spent four years as Secretary of State for Trade and Industry and then a couple of years as Secretary of State for Health, until Gordon Brown eased himself into power as Prime Minister ? Continue reading Phorm worries at the British Telecom plc AGM and Dept. for BERR.